The Monaco Grand Prix in Monte Carlo is one of the biggest Formula 1 races in the world. This race takes place in an incredibly narrow and tight circuit with runoffs that are located far and very few between. A single mistake in this track and it could be the end of your race. The Monaco Grand Prix’s street course has a surfeit of twists and austere elevation changes that demand more concentration than any other Formula One track in the world. In fact, there is a point on the track where drivers are expected to race through a tunnel. If this weren’t already on the F1 schedule, it would not be allowed due to safety reasons. The Monaco Grand Prix is the ultimate test of an F1 driver with tight corners and narrow tracks that make overtaking difficult. It requires the drivers to combine their technical excellence, precision driving and sheer bravery to win this race! That is why every F1 drivers’ wish is to win this race as it places their name on a list of history’s all-time greats. The Monza track, also known as the “La Pista Magica” by the Italians, is regarded by many F1 enthusiasts as an epitome of Formula One Racing. Located just north of Milan, Monza Circuit is a fantastic example of a track that combines skill and speed with a rich history of F1 races. After the Indianapolis track in the USA and the Brooklands in the UK, The Monza is the third permanent race track in existence since 1922. This track covers a whopping 10 kilometers with a banked oval incorporated into its design. The Monza has seen some of the finest races of all time. The sounds of engines and the names of great drivers from the decades gone by lingering in the grand old trees that surround the track in the royal park. Over time, The Monza F1 race track has borne witness to some of the most incredible famous victories, historical moments and horrifying crashes. All of these combine to make it one of the most famous and magical places on the F1 calendar. Mount Panorama, also known as Bathurst, is one of the greatest race tracks in the world. It is located in Bathurst, New South Wales, Australia. This race track is technically a street track seeing as it runs on public roads. It covers a massive 6.213 kilometers in length. The Mount Panorama race track boasts of a steep incline, quick corners, and long mountain straights that provide a tough challenge for drivers. This race track is home to the Bathurst 1000 motor race that’s held in October annually and the Bathurst 12 Hour motor race that is held each February. Historically, the Mount Panorama racetrack has been used for a wide variety of racing categories, including motorcycles and open-wheel racers. On non-race days, the track is open to the public with cars allowed to drive in both directions around the circuit for no charge. However, there is a strict speed limit of 60 km/h that is enforced by police regularly patrolling the circuit. The Suzuka racing course, located in Suzuka City, Japan, is one of the most famous racing tracks in the world. It boasts of a unique combination of challenging trails and rich history that makes it one of the most compelling race tracks in the world. The Suzuka race track features a rare “figure 8” layout and a range of different corners that feature the renowned “S” curve, 130R and the Degner Curve. This race track has hosted some championship deciders in the Formula One history and the most truly incredible motorsport moments, including the infamous 1989 and 1990 AyrtonSenna and Alain Prost collisions. Such moments have only added to Suzuka’s appeal, with the Japanese Grand Prix now attracting passionate and knowledgeable Formula One aficionado in all racing, with up to 155,000 fans in attendance. The Spa Belgium race track is a favorite amongst both drivers and fans due to the variety of its layout in the hilly landscape of the Ardennes. Its design allows drivers to showcase their talent value. Over the years, Spa Belgium has undergone significant modifications from its massive 14 km circuit to its current 7km configuration to keep up with the ever-changing face of F1. These changes were also due to the high speeds reached by cars that were making it hazardous for competitors. It has been able to maintain its character by retaining some of its most famous corners such as La Source, Blanchimont, and Eau Rouge. Spa Belgium is still very fast and hilly. It also takes over part of the old route that has characteristics which are valued by the world’s greatest F1 drivers. This race track is also famous for its unpredictable weather. Silverstone race track is the current home of the British Grand Prix. It is one of the classic tracks in F1, having hosted the first Formula One World Championship Grand Prix in 1950. So far, the Silverstone circuit has 50 world championship GPs under its belt already and has been consistent on the F1 calendar since 1987. Like most of Great Britain’s racing circuits, Silverstone circuit started off as an Aerodrome. Today, Silverstone is one of the seven circuits in the world to have no daylight variants. This race track has undergone several major overhauls with the addition of numerous chicanes and corners. The most recent overhaul was made in 2010 where a new infield section was added. However, even with these changes, the circuit has been able to retain its character with the Maggots-Becketts-Chapel complex standing out as one of the best quick corner sequences in the world. Formula One (F1) race cars are, basically, single-seat, open-wheel racing vehicles with the engine positioned right behind the driver. They make use of internal combustion engines and are equipped with usual elements such as brakes, wheels, transmissions, and suspensions. However, these cars are not designed or intended for casual driving. All of their elements are tweaked and designed for speed only. It’s quite easy for a F1 car to attain a speed of 200 mph. But, during the race itself, the speeds are typically lower. These cars are governed by the Fédération-Internationale de l’Automobile (FIA) regulations, which are unique to the Formula One Championship. Such regulations specify that racing cars must be built by the participating teams themselves. However, participants are permitted to outsouce the cars’ manufacture and design. There’s an incredible lot to learn about F1 racing cars. There are multiple things about F1 racing that most people are curious about or simply unaware of. Below, we delve into the major systems employed in F1 racing cars. The chassis is the heart of Formula One cars. It’s the part onto which virtually all elements are bolted and attached. As it’s with most modern vehicles, F1 cars feature a monocoque (single-shell) construction. The term ‘single-shell’ implies the process of constructing a car’s whole body out of only one piece of material. Sometime back, this material was commonly aluminum. Today, they’re usually constructed out of strong composite, like carbon-fiber layered on an aluminum mesh or spun carbon-fiber set in resin. Such allow for development of lightweight cars which can hold up well against the enormous, downward forces produced as the vehicles move through the air. The build incorporates a sturdy, padded cell (cockpit) which accommodates one driver. Contrary to cockpits built for road-ready vehicles, the cockpits of F1 cars are required to adhere to the set rigorous technical regulations. For instance, a Formula One car must sport a flat floor, in addition to meeting minimum size requirements. The minimum permissible weight is set at 1,605 pounds, inclusive of the driver and exclusive of the fuel. However, the seat is specially constructed to fit the driver’s precise measurements. That limits his movement as the race car moves all around the track. Aerodynamics are a vital key to succeeding in F1 racing. Teams spend million of dollars in this field. As a general rule, any vehicle that travels at high speeds must have the ability to increase downforce and reduce air resistance. F1 cars are often wide and low to elp decrease air resistance. The barge boards, wings, and end plates help increase downforce. Formula One cars bear wings which operate on similar principes as airplane wings, but now in reverse. While airplane wings help create lift, F1 cars’ wings produce downforce, thus holding the vehicle onto the track. The driver can fine-tune and adjust the angle of both wings to achieve a suitable balance between downforce and air resistance. Back in the 1970s, Lotus engineers discovered that it was possible to turn a Formula One car into a giant wing. As such, they adopted a unique undercarriage model which enabled them to extract air from the car’s bottom. In turn, that created a low-pressure area which sucked the entire car downward. However, such ‘ground-effect’ forces were outlawed. Strict regulations to govern the undercarriage design were subsequently put in place. Today, the car’s bottom is expected to be flat. Engineers can then execute their ideas beyond the car’s rear axle line. Most of them incorporate a diffuser, which is an upward-sweeping unit located right below the gearbox and engine. A suction effect is created by the diffuser as air is funneled up, passing it to the car’s rear side. Endplates are flanged areas along the front wings’ edges. These ‘grab’ the air before directing it along the car’s sides. The barge boards, on the other hand, are located right behind the car’s front wheels. Upon picking up the air, they accelerate it to provide for even more downforce. Earlier, F1 race cars were powered by 3-liter, V10 engines. Today, the rules require that the cars use 2.4-liter, V8 engines. Sure, the power outputs fell with the revision of the rules. But, F1 engines are still capable of producing almost 900 horsepower. A Formula 1 race car’s engine will prompt for a rebuilding after a relatively few miles. That’s because the engine is required to run at quite high revolution rates (almost 19,000 rpm) to generate such substantial amounts of power. Running a car’s engine at very high rpms leads to production of enormous amounts of heat, thus putting a significant deal of stress on all the moving parts. Such engines are powered by small amounts of non-hydrocarbon compounds. Most power-boosting additives aren’t allowed. In typical seasons, F1 teams make use of nearly 50 distinct fuel blends which are tuned for specific tracks and conditions. These blends are submitted to the sports’ governing body (FIA) for approval of their physical properties and composition. The suspension incorporated in Formula One cars features the same components you’d find in a road car’s suspension. Such include dampers, arms, dampers, and anti-sway bars. Nearly all Formula 1 race cars are equipped with double wishbone suspensions. Prior to the actual race, participating teams tweak the suspension settings to ascertain that their car can corner safely and brake, yet deliver responsiveness when it comes to handling. It’s included to help transfer the power of the engine to the F1 car’s rear wheels. The transmission, bolting directly to the engine’s back, includes all the parts you’d find in a typical road car, including the gearbox and driveshaft. The gearbox is required to have 7 or less gears and at least 4 forward gears. Nowadays, most Formula 1 race cars run 7-speed units. The rear wheels are able to revolve at various speeds during cornering, thanks to the incorporation of a differential. The gearbox connects to the differential, which further connects to the driveshaft. This shaft is responsible for power transfer to the wheels. Drivers shift gears using the paddles situated right behind the car’s steering wheel. While fully-automatic transmission systems are possible on Formula 1 race cars, they’re illegal. In turn, that helps reduce the powertrain’s overall cost. Additionally, drivers are able to gain advantage by using their gear-shifting skills. The F1 car’s steering wheel bears little resemblance to that found in road cars. As the main command center, this wheel houses an array of buttons, switches, and toggles. With just a single tap, the driver can operate and control nearly all aspects of the vehicle’s performance, including brake balance, gear changes, and fuel mixture. Data such as speed, engine rpm, and lap times are displayed on the integrated LCD screen. Furthermore, the driver gets all that control from a wheel that’s almost half the size of a road car’s steering wheel. The driver is expected to get out of the car within 5 seconds, removing the steering wheel only. To achieve that, the wheel is attached to the car’s steering column using a snap-on connector. The brakes employed here must be able to stop a car that’s traveling at speeds of over 200 mph. The brakes, in turn, glow red-hot when they’re used. Thankfully, most teams now use carbon fiber pads and discs to help reduce any wear and tear, in addition to increasing the braking performance. Such brake systems, despite being lightweight, have proven to be greatly effective at temperatures of up to 1,800 degrees Fahrenheit (1,000 degrees Celsius). The holes along the brake disc’s edge allow for rapid heat escape, too. Most cars also feature air intakes on the outside of their wheel hubs. These help cool down the braking system. These are the only elements touching the track’s surface. That explains why they’re among the most important parts of Formula One race cars. All other major systems (suspension, braking, and engine) perform their tasks by way of the car’s tires. In case the tires don’t perform well, the cars won’t perform well, irrespective of other systems’ technical superiority. Just as it is with other parts of Formula One cars, the tires are considerably regulated. Today, the FIA demands that the front and rear tires be 12-15 inches wide and 14-15 inches wide respectively. Aside from that, 4 continuous, longitudinal grooves ought to run around the tires’ circumference. These ought to be at least 0.098 inches deep and 1.97 inches apart. F1 tires are generally made from soft rubber compounds. As these compounds heat up, the tires are able to adhere to the track and offer enormous gripping power. As a matter of fact, racing tires tend to perform best in high temperature levels. The tradeoff, in this case, is decreased durability. Formula One tires are built to last for up to an estimated 125 miles. Formula One racing is a unique and hugely popular sport. Among the things that set it apart from virtually all other racing sports and competitions are the stringent rules and regulations that drivers are required to adhere to. There are multiple set regulations regarding the track’s design, the race’s rules, and the constructions of cars participating in the racing events. The engineers behind these race cars adopt an aerodynamic design, ensuring they’re extremely fast, but safe. This sport undeniably takes car racing to an all-new level. And, while F1 racing is a fantastic sport, one must pay close attention to all details. The piece above discusses one of the most crucial details – the racing cars themselves. Quite a lot of effort goes into constructing and designing these cars, as well as ensuring they’re well-equipped for the actual race events, performance- and safety- wise. And, such are among the things that make this sport a favorite for many people from all corners of the globe. In fact, F1 racing will only continue to develop and grow even more popular. It’s much of a joy to watch as it is to participate in. Formula One refers to a motor racing sport involving single-seat, open-wheeled cars. It utilizes the most technologically advanced cars with wheels located outside making them very distinct from typical cars. For you to be a winner in Formula One racing game, you’ve got to be the leading among the best. F1 is the most regulated racing motorsport that has a substantial international following. Formula One rules and regulations are made and enforced by FIA and FISA. The rules of the F1 racing game have changed dramatically over the years since its World Championship in 1950. 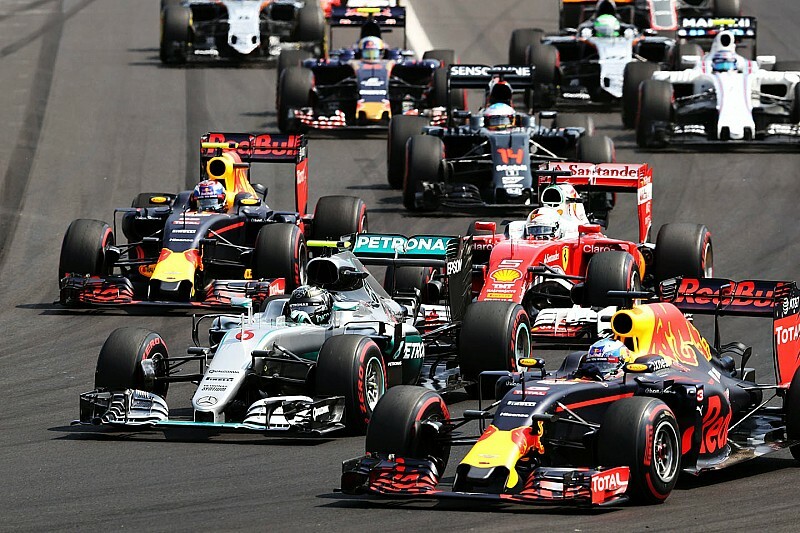 Below are the current rules and regulations governing the famous Formula One racing sport. All the F1 cars should not exceed 95 cm tall and 200 cm wide. There is no specified length though several F1 cars tend to have closely similar length size. Cars must be equipped with roll configurations both behind and in front of the driver. Pirelli is the only authorized supplier of car tires used in the F1 game. This is to help boost the safety of the car and the driver. Pirelli provides both dry and wet-weather tires. FIA has made it a mandate that all F1 cars should have four exposed wheels made of magnesium. Front wheels should measure 370-385mm while the rear wheels should be between 455-470mm. Tires must be inflated with nitrogen or air and that there should be no modification whatsoever. The use of wet tires is obligatory in case the race is started behind the safety car during heavy rains. These are rules that govern on-track driver behavior. A driver that commits an offense will be penalized. Jumping at the start of the race, blocking other drivers unfairly, causing an accident intentionally, speeding in the pit lane and obstructing another driver while being overlapped are all offenses. All drivers are required to use the track and not make any attempt to leave it. The common penalties you can incur after committing an offense include a five-second penalty, drive-through penalty or ten-second time penalty. During the time penalties, you are required to drive to your garage and stop until the time’s over then rejoin the race. The ten-second time penalty has two options. One is mandatory, and you must accept. The other one allows you to complete the race then take the penalty. Failure to follow and accept the penalties of the steward can mean you’ll receive a black flag and be omitted from the race. Stewards have the mandate to reprimand you, drop you any grid position number in the preceding Grand Prix or even suspend you from the next race. Pit exit is opened half an hour before the formation lap starts. You’ll be allowed to leave the pit to pay a reconnaissance lap then stop at the grid in the start order with all engines turned off. Signals are shown 10, 5, 3, 1 and 15 seconds before that onset of the formation lap. Engines should be turned when the one-minute signal is given. If you’ve got a problem before the race starts, you can raise your arm, and the race start will be terminated. The safety car is controlled and driven by a skilled circuit driver. It carries an FIA observer who controls the race. The car joins the circuit and has orange lights and all drivers must lineup behind it. Safety car can drive through the pit lane, and all competing drivers must stop at their garage pits. You should continue in the formation till you cross the line of the first safety car and green lights show. This is the time you’ll be free to race once more. In case of a severe accident, the race can be suspended. In such a circumstance, red flags show everywhere around the circuit. You’ll be required to head slowly toward the pit lane then queue and not overtake. A 10-minute warning is given before the race can be resumed. Overtaking is not acceptable unless a driver delays when leaving the pit lane. However, in the case when a race cannot be resumed, results will be taken from that point. You are required not to use more than four power units unless you are driving for multiple teams. Each power unit consists of up to six elements. You are allowed to use four of the six elements, and if you introduce an additional one, then you are subject to a grid penalty. Adding or removing fuel from the car after leaving the pit is prohibited. All F1 cars use petrol. All fuel tanks should be made of materials specified by the FIA. Additionally, it should be encased in a crushable structure to help endure extreme impact loads. All cars should not consume more than 105 kg of fuel in every single race. No more than two cars are allowed for any team. Though you can bring an additional spare car for your team, spare cars are not permitted. Additionally, you cannot change your car once the race has started. Oil tanks for all F1 cars are strictly regulated to prevent oil leakage risks. Oil can be added in the course of the race. The cooling systems of all cars must be approved by the FIA. All oil lines and coolants should not pass through the cockpit. You are only permitted to use up to four drivers. If you intend to make any change, you can do so before the qualifying session begins. However, bear in mind that all the drivers should have a super license from FIA to participate in the F1 race. Besides, they should meet strict performance requirements and be above 18 years of age. All F1 cars should be fitted with fire extinguishing equipment that discharges into the engine compartment and cockpit. Again, the driver should be capable of operating it when seated. Other safety equipment required include two rear mirrors, circuit breaker, leg padding, seatbelts and a switch. F1 racing rules are dynamic and must be observed by all drivers. The game is very competitive, and if you adore this thrilling game, then you should equip yourself with the above rules to obtain a conceivable advantage. Looking at a history of Formula 1 auto racing give us a real insight into how it has developed into a global sensation over the decades. With it now being shown in more countries than ever before, and with a worldwide audience that is growing, it is hard to believe that this entire concept started off life as something much smaller in both size as well as stature. The concept of racing cars at speed has been around since the creation of the motor vehicle. However, it was not until after World War II that the official structure of what would ultimately become known as Formula 1 began to appear. Prior to that, there were a series of races held in the 1920’s and 1930’s as part of a European race calendar, and for some, it is those races that began to set into motion the idea of Formula 1. 1946 saw the emergence of the Commission Sportive International, which became known as FIA and then eventually FISA. They were responsible for defining the term ‘Formula 1’ as a direct reference to them becoming the premier organization for single-seater racing. At that time, they also created Formula 2 as well as Formula 3 with the differences being based on engine sizes as used in races that had occurred before the outbreak of the war. With races effectively beginning in 1947, there was ultimately a hybrid of vehicles that were allowed to enter the races. Technology had come on leaps and bounds, so you had both supercharged and non-supercharged vehicles racing against one another. Most of the earlier cars would also come from Italian manufacturers with the very first race being won in 1946 by Achille Varzi who was behind the wheel of an Alfa Romeo 158 Alfetta. Even though races were held from 1946, it was not until 1950 that the first World Championship appeared for both drivers as well as for the teams. This was largely as a direct result of the first motorcycle World Championship being created, and the FIA wanted to follow suit so as to not be left behind. This first World Championship was not as involved as it is now. It covered six of the main races in Europe along with the Indianapolis 500 in the United States. This in itself was no different to what had been happening prior to 1950 although this was at least an attempt to formalize the entire championship into something that would ultimately lead to a winner at the end. In the early days, it was still Italian based teams that would be at the forefront. Smaller manufacturers, such as Talbot from France and BRM from the UK would have relatively meager attempts at breaking the stranglehold that was held by the Italians but without much success. In addition, private companies were also allowed to take part in these earlier championships with individuals from Germany and the UK playing a prevalent part. The first ever champion was Nino Farina driving for Alfa Romeo who had dominated the entire championship and were streets ahead of anybody else. 1951 saw Juan Manuel Fangio becoming champion, the first of several such successes for an individual who would go on to be one of the absolute legends of Formula 1. Formula 1 did not have to look too far to find some problems associated with its regulations, especially when it came to the engines that were allowed as well as the length of the races. It was not until 1958 that some substantial changes were allowed with the distances being shortened from an average of 300 miles to 200 miles. 1958 also saw alterations to the way in which the points were distributed. For the Constructors Championship, a team would only receive points for the highest placed car while the idea of a point for the fastest lap was scrapped. Alterations to the way in which the cars were fuelled, along with the way in which costs were also reduced by improvements to engines, did mean that smaller manufacturers were able to make some headway against the big named Italians. This was first seen in 1958 when Stirling Moss won with a mid-engined Cooper. It was also the first victory for a car where the engine was mounted behind the driver with this signaling a major leap forward in the design of the cars that would then be used in Formula 1 from that moment on. Those early years saw the championship staying almost exclusively in Europe. In fact, after it was decided that the Indianapolis 500 would no longer play a role in the crowning of a champion, there were several years where no races took place outside of Europe with this only being broken in 1958 when Stirling Moss won that race in the Cooper based in Argentina. Since those early days, there have been continual alterations with the race calendar being expanded covering more countries along with engine sizes increasing, then decreasing only to increase yet again. A number of the original names, including Alfa Romeo and Maserati, have vanished from the starting list with it being dominated by just a handful of engine manufacturers that then lease them to other teams to race under their own name. When you look at a history of Formula 1 auto racing, you see that the current changes in regulations, which appear to happen on a constant basis, is nothing new. It has been that way since the outset. However, the circuit itself is now in a much better place than those early days with countries competing to hold a race as opposed to it just not holding as much appeal aside from in a few countries that were also home to manufacturers. Formula 1 has been full of accidents and high risk moves, and that is just in the administration and development of the sport. You could spend an eternity discussing that just in the history alone, but the one thing that you can be sure of is that the history side is just as fast-paced and enthralling as the racing has always been right from those very early days.